Update 3.5.0 Added support for multiple doors per vehicle. Also added the Mazda RX-7 by @TGIJ to the default list. 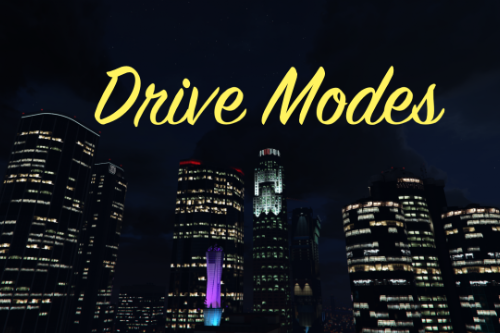 Note: Do not use any vehicle godmode with this mod. Vehicle godmode will close all open headlights, while this mod tries to keep the lights open. As a result, you will end up with the popups constantly opening and closing. True slow animations for every car! You can now adjust the exact speed you want your headlights to move at, and even leave your headlights at a certain angle - that's right, you can choose between completely opened, completely closed, and every angle in-between! That's not all. You now no longer have to open the script to add your own vehicles. 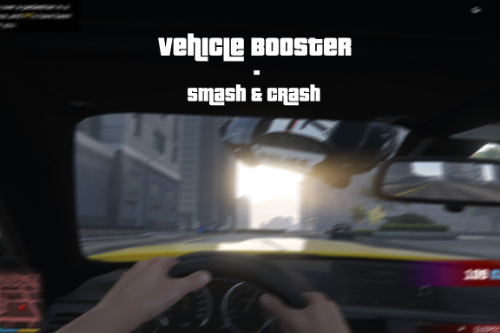 Simply navigate to my PopupHeadlights/VehicleLists folder and open the cfg file that matches what kind of headlights the vehicle uses (type of door, or scoop). Then simply type the vehicle's spawn name in a new line (make sure there are no spaces!) and save the cfg file. Lastly, this new system also supports a new type of headlight method: "scoop" headlights. This works by making the headlight model of a vehicle be recognized as a scoop. This makes the animation extra smooth and imo is the best method. As this is a new system, there are probably bugs lurking around. Please let me know in the comments. Thank you! The pop up lights no longer rely on whether your lights are on! This means you can pop up the headlights whenever you want, without having to turn on the vehicle lights! This also means you can have your headlights turned on without having the pop-up lights up, if you'd like. In other words, full control of the pop-up headlights! Double tap the headlights button quickly (H on keyboard, Dpad Right on gamepad controllers). Hold the headlights button for around 1 second (H on keyboard, Dpad Right on gamepad controllers). For gamepads, you can either push UP or DOWN on the left stick ("scoop" headlight vehicles only), or hold Dpad Right and push UP or DOWN on the right stick (all other vehicles). I will probably make the controls the same in the next update. The following are vehicles that make the game think the headlights are a bulldozer "scoop"! This allows for a very smooth animation. 1.1 Added support for Mazda RX7 FD3S Stanced / Cambered by @erfet. Now the headlights only pop up when the headlights or high beams are on!! Also fixed the script not working until you reloaded the script. 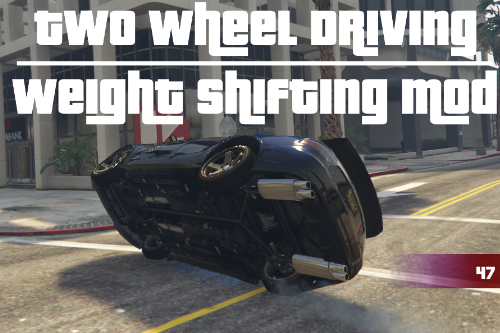 1.2 Thanks to @ikt, other cars won't randomly flip over! Also included a readme for how to add your own cars. 1.3 Added support for Honda NSX Rocket Bunny by @erfet ! 1.4 Added support for AE86 Initial D version by @FreedomGundam. 1.5 Fixed an issue some people were having with the headlight "door" constantly closing when the headlights are off. Also optimized the script; it is much, much easier to add new cars to the script. Literally copy-paste a template, then edit two lines, done! 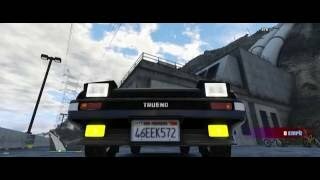 1.6 Added support for Forza Motorsports 4 AE86 by @FreedomGundam. 1.6.5 Added support for 1992 Toyota Supra Turbo Mk3 by @Zievs. 1.6.6 Added support for 1989 Miata NA by @DefendMyCereal. Also, it is now even easier to add your own add-on (or replacement) car. 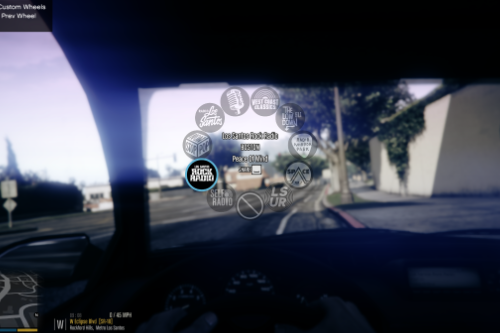 Simply type the car's spawn name in the designated line; instructions are in the download. 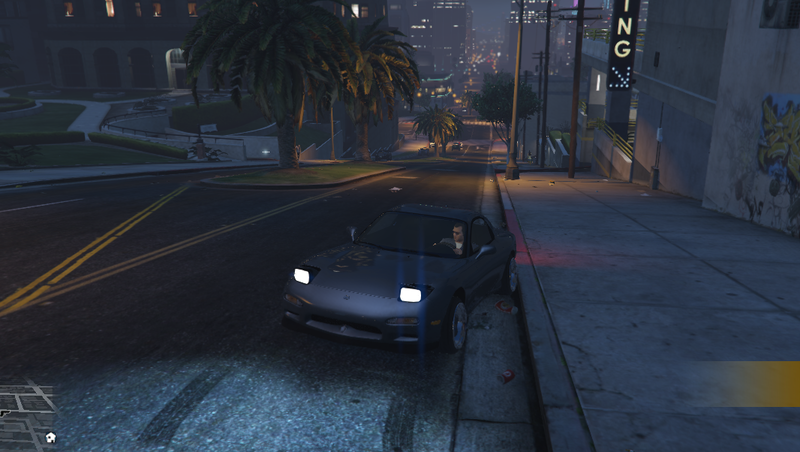 1.8.0 The pop-up headlights of pedestrian vehicles will now open up during the night time! 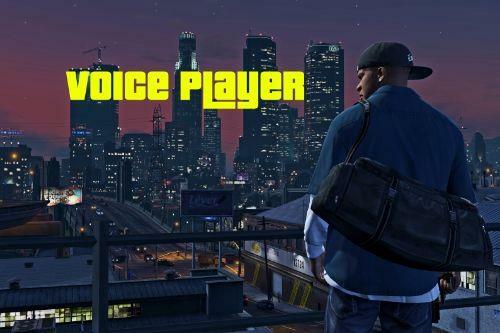 Perfect for those who use Southern San Andreas Exotic Traffic by @Jonathan6506 . Of course, you can disable this feature by opening the .cs file with Notepad and setting it to "false". Thanks to @b4good for the idea. 1.8.1 Added support for Nissan 240sx BN Sports III by @erfet and @Zlay and 1987 Ferrari F40 by @[DTD] EvertW. Also reduced the civilian vehicle radius, which means there will be significantly less lag at night. 2.0 Pop-up headlights control is now completely manual! Also added support for @ElyZium's 1995 Toyota MR2 GT and Nissan 180SX TYPE-X and fixed a couple bugs related to exiting your vehicle and having other peds sitting in the vehicle. 2.1 Issue with lights/highbeams not toggle-able should be fixed for most users. Also, slower opening animation for the popup lights (only for cars that already have an animation). Keeping this feature on may cause peds sitting in the back seats to have a weird animation bug where they always try to close the headlight "door"; you can turn the slower animation off if you experience this bug by setting SlowAnimation = false in the .cs file. 3.0 Slow animation bug should be fixed with the new re-working of the code. Now includes many settings you can modify to your liking, as well as an easier method to add your own vehicles. Also added support for Mazda RX7 FD3S by @Neos7 and 1989 Miata NA by @DefendMyCereal. 3.1.0 Auto popup lights feature is back; when you turn your lights on, the popup lights will open up automatically! It is enabled by default, but you can disable it if you want to be able to adjust the headlights manually when your lights are on. Also, fixed bug related to switching between different vehicles. 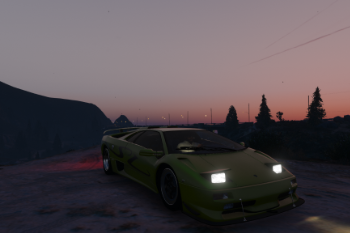 3.1.1 Added support for 1988 Lamborghini Countach QV by @[JSPEED]MrVorbis07. 3.1.2 Added support for Toyota Celica by @Game68240. Only the ScoopVehicles.cfg file was changed since 3.1.1, so you don't have to overwrite anything else. 3.2 Door-type headlights should now close completely. Also added support for 1984 Ferrari Testarossa by @Riqitch811. Settings.ini is unchanged, so you can keep your old one. 3.3 Fully automatic mode is back :) You can choose to force the popups open when the lights are on, or force the popups to stay closed when the lights are off, or both. This is disabled by default! Enable them through the Settings.ini. 3.4.1 Fixed a bug that stops the headlights of some vehicles from closing completely. - The popup headlights may move slightly while driving. This is because the game thinks the headlights are an open door, and realistically that's what would happen to a door.. however, this only affects "door headlight" vehicles that have an animation. 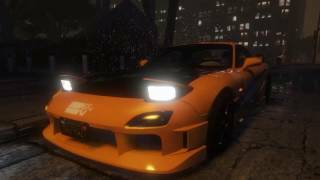 Vehicles that do not have a headlight animation (like the 1995 Toyota MR2 GT by @ElyZium and the 1997 Lamborghini Diablo SV by @Machyna) are not affected by this, because the animation is completely controlled by this script. Credits to @Ezio_Cuenca for beta testing the 2.0 update, and to @ImNotMentaL for his contribution to a certain Native function that made update 3.0 possible! @stillhere hmmmm vehicles that have the headlights open by default? you mean vehicles like the original tropos with official popup lights or vehicles with popup lights set as scoops (raise with shift & ctrl)? @Elope No, some vehicle modders flipped the rotations in their models so that the default "closed door" state is with the lights popped up, and vice versa. 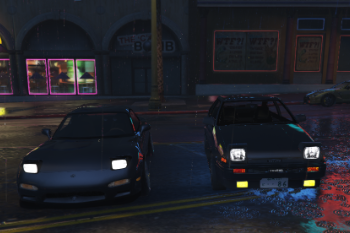 But I only know two vehicles that are like that, the 240sxbn and one of the older rx7's; both are already included in the list by default. @OP_coop It doesn't work for any vehicle? Hello,Why headlights can't be turned on? @stillhere when i turn de the lights off the popups are going down instead of up so there is almost no light at all. I've been messing with the files but i cant get it to work. 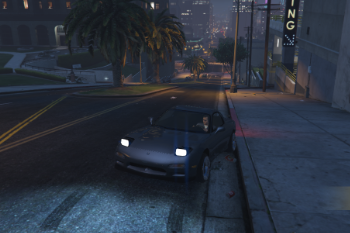 @stillhere https://id.gta5-mods.com/vehicles/1985-toyota-sprinter-trueno-gt-apex-ae86-add-on doesn't work to this whip, I've tried all I can do but still can't can you solve this problem please. 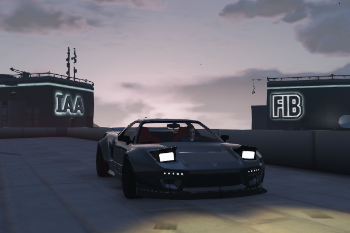 @ArmaniAdnr if it has one of those vehicle pop-up light "doors", you can just add the model name into the script. Looks like it won't work with the KITT scripts though, likely because of vehicle godmode being activated, which force closes all the doors.